Convincing. The Huawei Y7 aims to convince its buyers with a metal case, a strong processor, and a large battery. While these assets are good, the competition in the 200-Euro price range (~$238) is strong. You can find out in our test how the Huawei Y7 fares. Positive: Nice main camera; long battery life; decent processor; good performance. Negative: Only 2GB RAM; no fingerprint sensor; poor display; many bloatwares. Positive: Good main camera; nice performance; long battery life; powerful processor. Negative: Only 2GB Ram; no fingerprint sensor; many bloatwares; poor display. Positive: Long battery life; solid workmanship. Negative: Poor cameras; many bloatwares; low performance. Positive: Excellent display; solid workmanship; high autonomy. Negative: Poor display; no fingerprint sensor. Positive: Solid workmanship; support dual sim; nice speakers; good cameras. Negative: Poor display; no NFC; combined slot; no fingerprint sensor. It’s becoming apparent these days that Huawei might become the smartphone choice for middle class people and probably rightfully so since it never stops churning out attractive devices. So, what does the new Huawei Y7 (2017) has on offer? To begin with the Huawei Y7 (2017) is powered by Qualcomms Snapdragon 435 SoC, 2GB of memory and 16 GB of storage with expandability via the usual microSD slot. Taking a look at its chassis there really isn’t much to say other than the regular curved and rounded edges, although it does feel rigid and sturdy enough to hold since it combines both a metal body with a plastic frame for added texture. 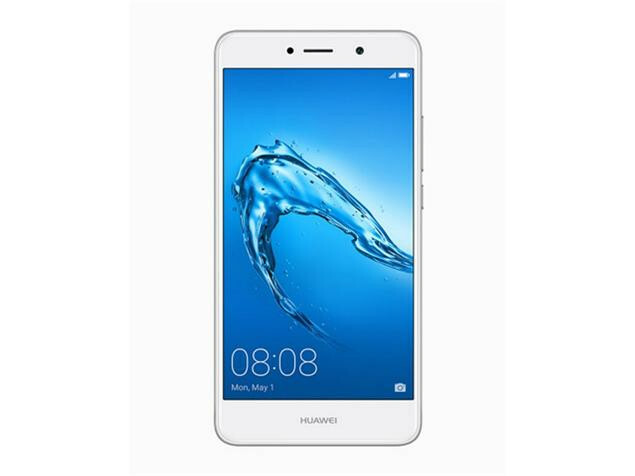 As with most devices of this budget range the Huawei Y7 (2017) is equipped with a 720p IPS LCD display which is about average, while it is sufficiently vibrant and sharp it does lack a bit of brightness when viewed under certain lighting conditions. Unfortunately for the Huawei Y7 (2017) when compared to its other Chinese competitors it does lack a dual camera setup which may or may not be useful to the user although having the feature is always a bonus. That being said, the Huawei Y7 (2017) has a rear 12MP and front 8MP camera which is actually above average when it comes to taking quality pictures under low light settings which most phones of this price bracket tend to suffer from. Naturally what good is a camera without its accompanying software, in which the Huawei Y7 (2017) is preloaded with an almost stock android 7.0 nougat, which isn’t to say Huawei hasn’t added their own flavor to it. Over at the audio department the Huawei Y7 (2017) has a set of decent sounding speakers although users should be reminded that if you want to listen to music it would be best to invest in a pair of headphones or earphones since the audio quality is about average with mids and highs audible enough without sounding flat and distorted. Moving over to its battery the Huawei Y7 (2017) is equipped with a 4000mAh capacity non-removable battery which may seem small but is able to deliver up to 15 hours of Wi-Fi surfing before running flat. This is probably due to Huawei’s own energy saving algorithms which allows the user to maximize the phone’s runtime. Final verdict on the Huawei Y7 (2017) is about average as it doesn’t seem to have any standout features to differentiate it from the crowd, this isn’t to say it isn’t worth the consideration but it seems that for this device it is more of a miss than hit since most features feels a little yesteryear as opposed to being decent. 72.59%: This rating is bad. Most notebooks are better rated. This is not a recommendation for purchase.